Throughout the firm's history, we've been fortunate to represent clients who exemplify success in their individual sectors of the business community, both here in New Jersey and in other locations. They include private and public entities, for profit and not-for-profit enterprises, entrepreneurs, family owned businesses, larger corporations with international reach, and businesses with a local or regional focus. The backgrounds, business objectives, successes and future goals of our clients are varied. One common thread is that they have all chosen Greenbaum, Rowe, Smith & Davis to represent their interests and help drive their success. We value that trust and those relationships deeply, and are pleased to turn the spotlight on a small sampling of our many successful clients. New Jersey REALTORS® is a professional trade association that supports its more than 43,000 members with programs, services and products that enhance their ability to conduct business successfully and ethically, and promotes the extension and preservation of the right to own, transfer and use real property. NJ REALTORS® is also committed to educating consumers about the process of buying and selling a home in New Jersey and to being a wealth of information on other real estate topics. Since the 1960s, the firm has served as General Counsel to NJ REALTORS®. In this capacity, we have handled numerous precedent setting cases involving real estate brokerage and other real estate matters, including many cases before the New Jersey Supreme Court; drafted and testified about legislation and administrative regulations on many issues; counseled NJ REALTORS® about various employment, trademark, copyright and other business matters; conducted frequent seminars about real estate-related topics; and prepared and continuously update contracts and other documents that are necessary for real estate transactions. 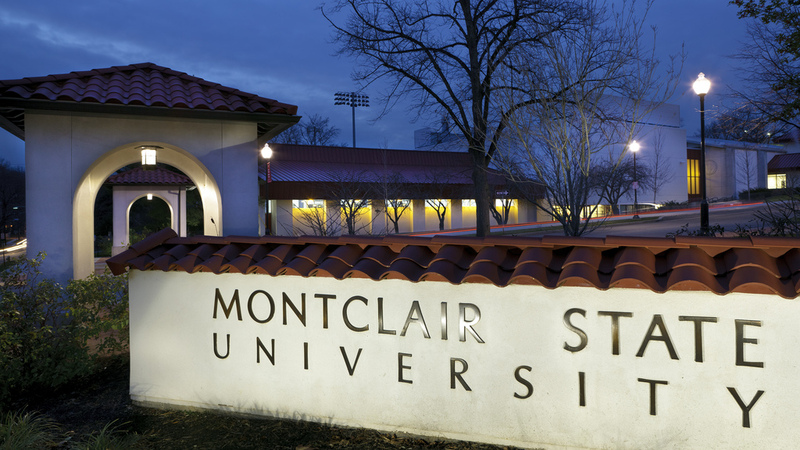 Montclair State University, one of New Jersey’s foremost institutions for higher learning, turns to the firm’s environmental attorneys to provide legal advice on issues related to environmental compliance activities and the expansion of the University’s northern New Jersey campus. We assisted in the evaluation of environmental issues and related contract provisions in conjunction with the University’s recent upgrade from an existing cogeneration facility to a new and technologically advanced combined heating, cooling and power (CHCP) system. The completed 5.4 mega-watt system satisfies the majority of the campus’ electricity requirements while also producing steam for heating and chilled water for cooling in buildings throughout the campus. Montclair State has the first educational institution in the country to sign a green construction and operation Memorandum of Understanding with the U.S. Environmental Protection Agency, is home to the PSE&G Institute for Sustainability Studies (ISS), and continues to demonstrate an ongoing commitment to environmental stewardship and sustainable practices. Avidan Management LLC is a family owned and operated real estate company with deep roots and a leading presence in New Jersey’s commercial and industrial real estate sector. The firm’s real estate attorneys have been close advisors to the Avidan team on various development and alternative energy projects throughout the years. 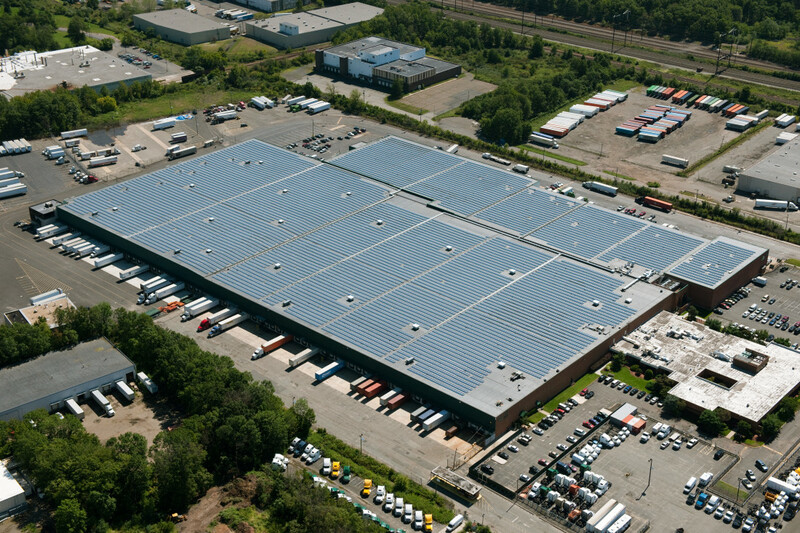 Our lawyers played a key role during the planning, financing and construction phases of one of the largest roof-mounted solar energy installations in the country, at an Avidan warehouse facility in Edison, New Jersey. We also represented an entity of Avidan Management as the sellers of approximately 2.6 million square feet of office and warehouse space in central New Jersey. One of the largest portfolio sales of industrial real estate to be completed in the state in several years, the deal called for the negotiation of many intricate and sophisticated real estate issues as well as solar power purchase agreements covering over 6 MWs of solar production. Jonathan Rose Companies is a leading green real estate urban planning, development, project management and investment firm, with interests in New Jersey and through the United States and a $1.5 billion portfolio of completed work to date. Our work for this client includes advising on environmental issues related to its acquisition of residential projects throughout New Jersey. We have also served as counsel on a range of legal issues related to the firm’s designation as redeveloper of a 2.7 acre parcel in the heart of downtown South Orange, New Jersey. 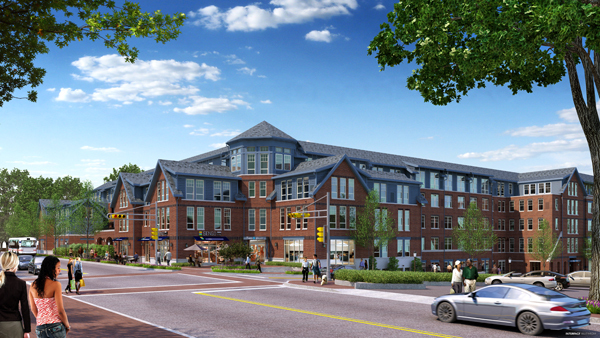 The transit-oriented rental apartment community, just one block from the town’s New Jersey Transit train station, will feature a five story apartment building, state-of-the-art fitness center, clubroom, landscaped courtyard, and a swimming pool, as well as retail space and a 500+ space parking deck for both tenant and public use. Members of the firm’s real estate, land use, corporate and environmental practices worked collaboratively to support the client on this deal, including the negotiation of a Redevelopment Agreement with the municipality, the property transfer and title closing, and negotiation and closing of a $38.5 million construction mortgage loan. Capodagli Property Company is a leader in the development, construction and management of multifamily residential buildings throughout New Jersey. Founded in 1970, Capodagli is a family business with a corporate philosophy that supports the development of dynamic and sustainable urban living communities. 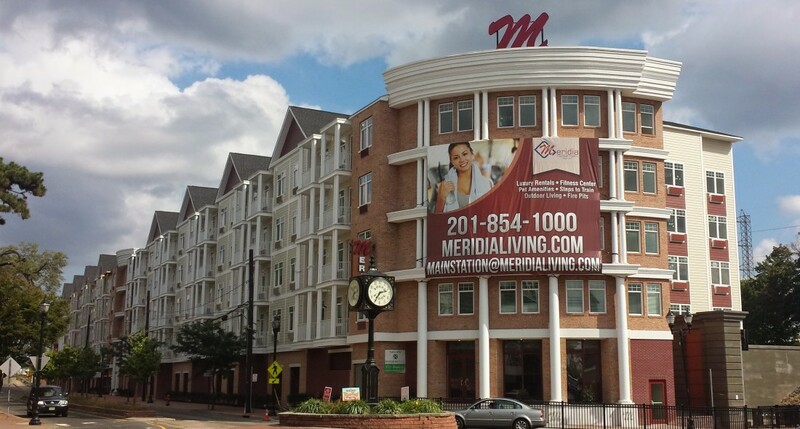 The company is proud of its reputation for creating exceptional residential “Meridia Living” communities that attract a wide variety of uses and a diverse cross section of residents, with a focus on projects that are transformational for emerging urban communities, and takes equal pride in being part of the communities they develop. The firm counsels the Capodagli team on issues related to project entitlements, redevelopment designations, redevelopment agreements, and financial incentives to ensure the viability and success of its projects. To date, our real estate land use, redevelopment and tax practices have provided support on projects in Rahway, Dover, Carteret, Linden, Hackensack and Bound Brook. The Thoroughbred Retirement Foundation is devoted to the rescue, retirement, rehabilitation and retraining of thoroughbred horses no longer able to compete on the racetrack. Founded in 1983, TRF is now the largest equine sanctuary in the world. Over 4000 horses have come through its programs, and over 1000 have been successfully placed in adoptive homes through the organization’s efforts. TRF’s mission also includes its Second Chances Program, in which inmates are provided with the opportunity to build new life skills by providing care to retired horses in vocational training programs located at correctional facilities in ten states. The firm applauds the dedicated work of the Thoroughbred Retirement Foundation and is proud to serve as its counsel on a variety of issues including corporate and contract issues. Baked by Melissa is the textbook definition of an entrepreneurial success story. Founded in 2009 by a cor porate advertising executive turned start-up business owner, the company’s unique brand identity is centered on bite-sized “guilt free” stuffed cupcakes that are available in a wide range of flavors and customized combinations. Baked by Melissa has grown from a single kiosk in lower Manhattan to 12 stores in locations that include Long Island and New Jersey. The firm’s real estate attorneys advise Melissa and her team on leasing issues and its corporate department on general corporate matters for the company. It's not about the size of the client, it's about our commitment to understanding each client's unique business objectives and tailoring the right approach. A small business may require broad-based legal support, while a large corporate entity may need us to focus on resolving a narrowly targeted issue. The bottom line is our ability to respond with equal effectiveness in each specific situation.